Earlier this year, President Barack Obama launched “My Brother’s Keeper,” an initiative to unlock the potential of boys and young men of color. The president’s memorandum made it clear: There are gaps in opportunity for those who identify as minorities that need to be closed. As part of the initiative, the task force will tackle increasing college completion — a goal that aligns with the work Scholarship America has done and will do. From the federal government down to local organizations, it’s clear that higher education is a priority nationwide. Just this past week, the Federal Reserve Bank of New York published a report that outlined the economic benefits of college. “[O]ver the past four decades, those with a bachelor’s degree have tended to earn 56 more than high school graduates,” the report’s researchers wrote. And around the country, Scholarship America Dollars for Scholars affiliates collectively raise and award millions of scholarship dollars to send community students to college. 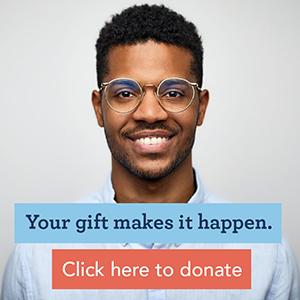 Support of minority scholarships not only provides a financial incentive to attend school — it also contributes to the emotional and psychological boost that students need to reach their college dreams. It’s unsurprising, then, that barriers don’t stop with enrollment: Bowen, Chingos and McPherson note that completion rates are “strongly related to socioeconomic status, race and ethnicity.” With scholarships, students stand a likelier chance of enrolling — and staying — in school. By supporting minority scholarships, we’ll enable greater outcomes during and after a student’s postsecondary education, ultimately benefiting our nation’s growth and prosperity. As the number of American college students who identify as minorities continues to rise, so too do their enrollment and completion rates. But, as we’ve covered here, there’s still a ways to go. Supporting minority scholarships can be a vital way to contribute to that growth — and to our nation’s success.